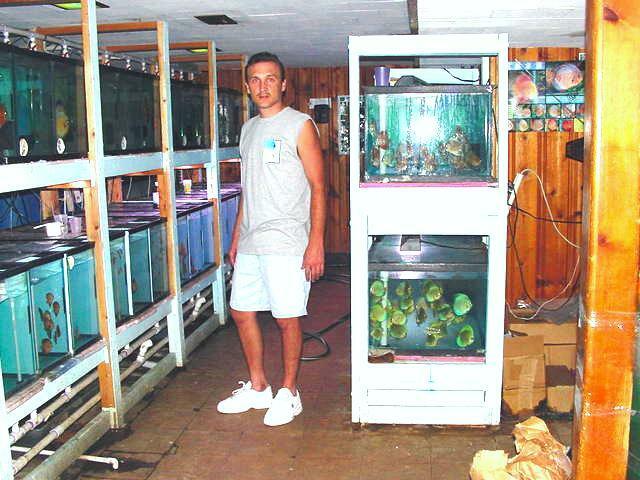 Our hatchery, here at Great Lakes Discus was made for ease, comfort, and low maintenance. 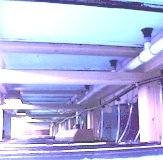 We have gained efficiency in the process by hand building and piping everything ourselves. 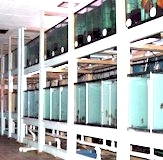 We have several different size tanks, including: 29, 50, 75, 90 and 150 gallons. 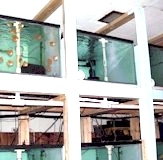 Each tank is bare bottom with state of the art heating and sponge filtration. 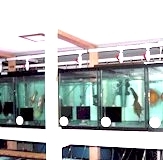 To ensure a comfortable and stress free environment for our discus, the walls of our tanks are painted entirely blue, except for the viewing area. 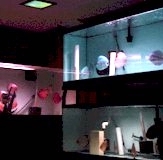 All lighting and water are automatic. 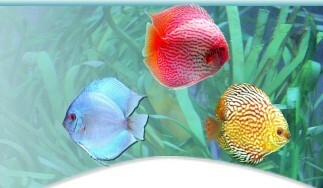 Our water is changed 50% daily, with the exception of discus that are 3 months and younger. Their water is changed 100% daily. 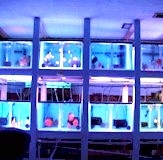 With our drip system and auto water change, we are able to keep all tanks crystal clear and disease free. 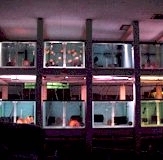 All of our tanks are on a 1 gallon an hour drip 24 hours a day and 7 days a week (except for spawning pairs). We are very lucky to live here in the Great Lakes area because we have exceptional water. 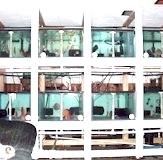 All grow outs are raised in straight tap water with a pH of 7.2-7.5, ranging around 240 microsemens. Our temperature ranges from 88 degree F for fry three months and younger and 86 degree F for three months and up. 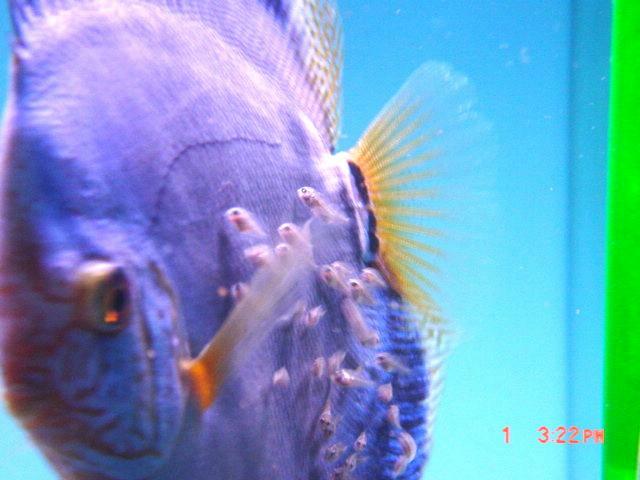 All of our breeding pairs are spawned in a pH of 6.5-7.0 at 100-120 microsemens. This is done by mixing tap water with RO water. 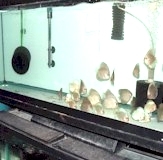 They are kept in a temperature of 84-degree F. Also, the lighting is kept dim on all producing pairs. We believe in "Grade A", high quality discus the first time and every time thereafter. We have been working with our strains for many years, out crossing them to other exact strains of our types. We have taken all the work out of it for you. Most of our strains can be inbred up to 3 generations without losing their excellent genetic backgrounds. They all consist of German and Asian stock. 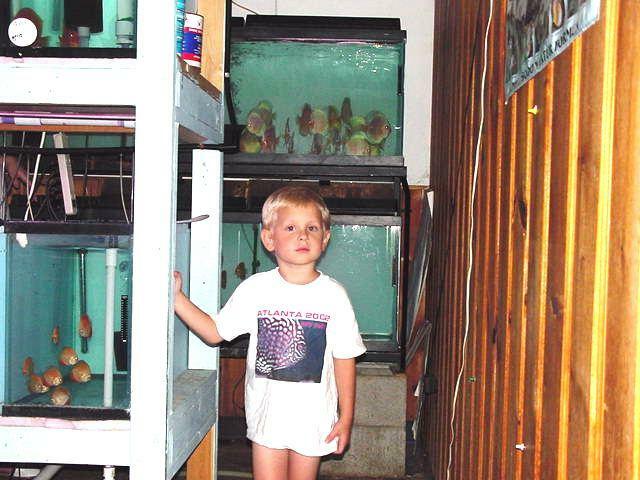 We will only import to select new varieties that we hope to breed and add to our bloodlines. We may also import to fulfill our strains that are offered as monthly specials. 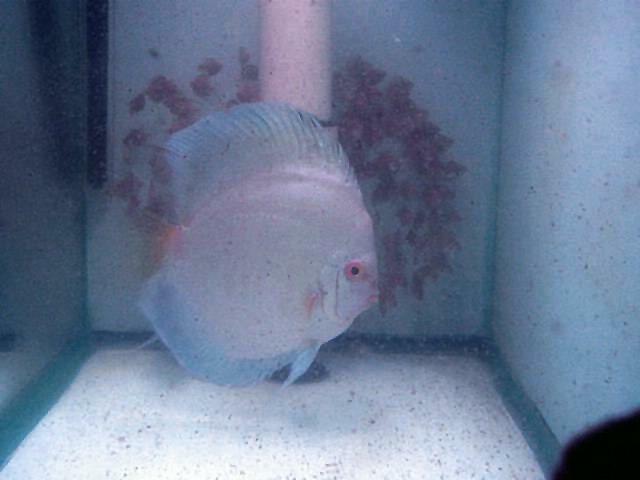 All of our discus are parent raised. We do not use the artificial methods. 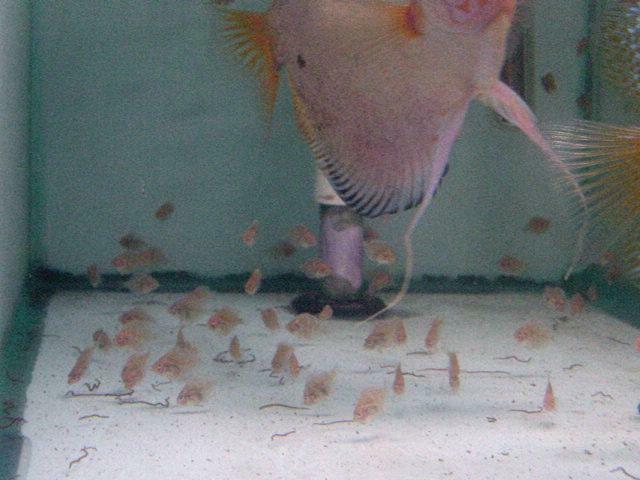 We believe parent raising is an important part of our discus development.